While many companies look to the United Nations Sustainable Development Goals (UN SDGs) for their CSR reporting, Verego’s suite of tools allow organizations to see the goals through a strategic perspective and validate operations structured approaches. The UN 2030 Sustainable Development Agenda and its 17 driving goals have inspired the creation and growth of CSR programs within organizations worldwide. However, many companies looking towards the UN SDGs are left needing guidance and validation of their Responsible Business approaches, including policies, programs and reporting. Verego, as the world’s only full-scope Social Responsibility Standard (SRS), guides the development of Responsible Business strategies by providing the tools vital for organizations to assess and certify their operations as well as those of their suppliers, and to integrate and manage issues like those covered by the UN SDGs. Furthermore, Verego’s services help organizations prioritize these issues and improve non-financial reporting through Best Practice recommendations and custom Materiality Assessment process. While many organizations’ goals and priorities are influenced by the UN SDGs, Verego SRS Certification Assessment and Materiality Assessment assist corporations in evaluating effectiveness of current responsibility strategies and identify priority topics according to stakeholder input and business targets. These service offerings supplement each other to create a comprehensive Responsible Business strategy in which Materiality Assessments frame issues in terms of overall business operations, while SRS Certification allows organizations to demonstrate continued management of these issues. 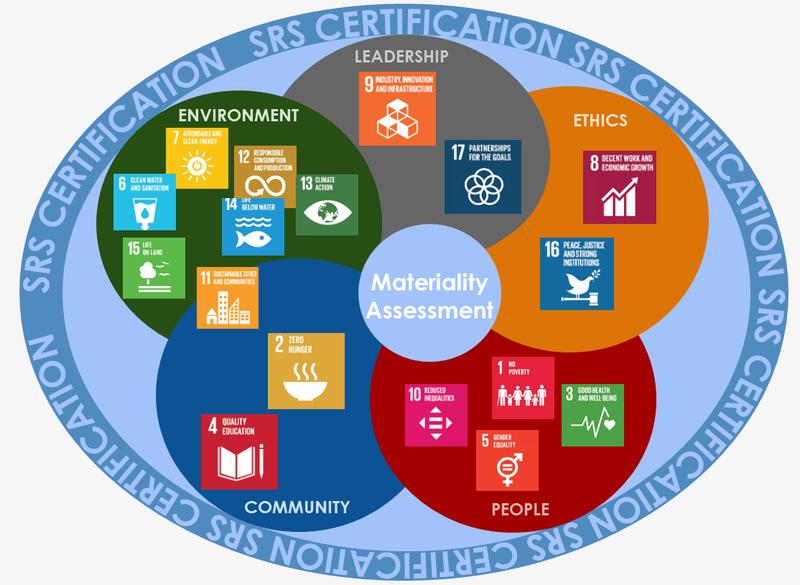 Serving as the foundation of all its assessment approaches, the Verego SRS addresses and expands upon the UN SDGs by evaluating management approaches of 57 prominent social responsibility topics within five key areas: leadership, ethics, people, community, and environment. To demonstrate the alignment of each of the 17 UN SDGs to the Verego SRS, each goal has been categorized according to Verego’s 5 AREAs of Social Responsibility. In addition to offering certification in these 5 AREAs of the SRS, Verego has established a unique Materiality Assessment process which can address each of the UN SD topics pictured above and more, adapting to fit the needs of your organization. Verego’s distinct approach to Materiality Assessments is highly customizable, but has adapted best practices to examine over 100 issues, or as many as your organization deems viable and of interest. Through the assessment, Verego leverages stakeholder engagement to prioritize these issues through the specific lens of your organization. 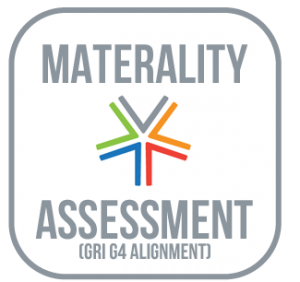 Once Verego’s Materiality Assessment has prioritized the issues most relevant to your organization, the assessment provides a formidable array of trackable metrics, at least 3-5 metrics for each of the material issues identified. These strategic metrics are utilized to set goals, measure performance and promote transparency, which further allows your organization to monitor the issues important to your stakeholders and report your progress. The results of the Materiality Assessment quantify the impact each issue for your organization, such as potential reputational risk and shared value, better informing company strategy and priorities. While Materiality Assessments are a critical component in developing operational strategy and non-financial reporting, Verego’s SRS Certification further validates the management systems in place regarding these Responsible Business issues and practices. Verego interprets and translates global goals, such as those recommended in the UN SDGs, into operational and strategic Best Practices at the company level. 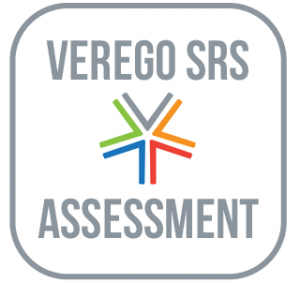 The Verego SRS Certification addresses and condenses the 169 targets for the 17 SDGs, evaluating and assessing existing management approaches across 57 sub-areas for validation within the 5 defined core areas. Through the SRS Certification Assessment, Verego evaluates your organization’s unique approaches to Social Responsibility to measure performance and track progress towards the goals your organization has defined for itself. Moreover, achieving Verego SRS Certification gives your organization the opportunity to validate these approaches and promote responsible practices by displaying Verego Certification Awards to concerned stakeholders and investors. The UN Sustainable Development Agenda highlights important goals for organizations worldwide who seek to report and improve social responsibility approaches, while Verego provides invaluable tools such as Materiality and Certification Assessments that validate and prioritize your organization’s management of these key topics. Verego’s offerings provide guidance on the impact of different issues on your company’s bottom line and shareholder perspective as well as certifying your organization’s alignment to global best practices. 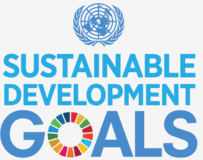 The Verego SRS Standard and associated tools address all topics and metrics included in the UN SDGs, but additionally help companies to prioritize, design and validate impactful corporate responsibility strategies and finally track and report progress using impactful and quantifiable metrics.